From fixing grammar mistakes to helping you hone in on your audience, these AI tools will sharpen you content creation and blogging for enhanced digital marketing. The use of artificial intelligence has increased over the past few years as it presents endless possibilities of changing the lives of content creators and consumers in the online world. The recent advancements have made the possibility of AI to be integrated into digital marketing a reality. It can be used to measure data and content, hence helping content creators advance content to optimal levels. The article aims at identifying top-notch AI tools to help grow a blog. The following six tools can help writers come up with high-quality content which captures the interest of readers. In blogging, it is not always easy to check mistakes in grammar and spelling. Grammarly helps identify such errors. It also offers weighty suggestions to advance a writer’s tone and style. According to David Fynn, Head of Content Writing department at SolidEssay, this is one of the best tools a blogger can use since it is a writing enhancement program that automatically checks and fixes grammar and spelling mistakes and also helps to boost the style and tone of writing. The tone of writing is the attitude the writer incorporates in their work towards the audience and the subject matter. It influences how the reader interprets the message and is, therefore, key to effective writing. The tone that is built is very salient in fostering trust with readers, as it promotes the credibility of the content and the blogger. The content that is acquired captures the attention of readers because of the sophisticated language and error-free work keeping a blogger on top of his game. Quality is vital in maintaining consistent readership. Grammarly is a critical tool for writers and content creators who want to perform at a high level and can help grow blogs as it helps create high-quality content. Crayon succors writers to identify fascinating topics to write about. While writing can be an elementary process, identifying popular topics that will help grow your audience by meeting their specified needs can prove challenging. Crayon uses AI to help a writer establish what competitors are doing online. The tool analyzes an array of data and uses this information to show the essential insights from competitor activities. This information can be used by the writer to identify which topics matter to the audience the most and also to determine where gaps exist to fill with their content. This tool is an eye-opener to the writer, since it analyzes data online and checks any emerging trends that competitors are incorporating to enhance their content strategy. It assists the blogger to keep in check the readers’ needs by providing up-to-date information on current matters. When a blogger keeps track of consumers changing preferences, they have the edge over their competitors, hence increasing reader engagement. The writer can also synergize crayon with HubSpot’s Content Strategy Tool to give them an edge over the competition. The Content Strategy Tools uses AI to help writers unearth new content ideas for their blogs. Uberflip uses AI to keep an inventory of the topics you’ve written about. It then suggests this content to blog readers based on what they’ve read on the site. This helps engage the readers more and also keep them coming back for more by giving them a personalized experience. The idea is to serve the reader with additional content that they are interested in. The writer can also leverage this to get more views on their past blogs. This is the best tool to create traffic in your blogs. Uberflip helps to ensure that the readers of the blog are consistent and visit the blog often, thus consuming more than one blog per session. It helps to automate personalized content experiences by employing strategies that make the user feel appreciated. Uberflip makes a list of the topics your audience is likely to engage in, in order of their priorities. It has an AI tool that understands what your prospects need in order to write what they are interested in reading. This keeps the audience engaged, thus building trust with the readers. Pathmatics helps content creators get more readers to their blogs. It uses AI to show digital advertising data for brands and companies. It shows how much money is spent on advertising by a brand and more importantly where the brands advertize. This provides salient information on where your audiences spend their time online, hence making it possible for a blogger to make necessary upgrades using consumer’s needs. As per experience of Jessica Woodson, Content Marketing Director at ConfidentWriters, one can use this Pathmatics to know where competitors advertise, then use this information to select top sites that line-up with the content. By doing that, the writer opens up their content to a new reader base. BrightEdge is a search engine optimization tool that has multiple uses. Its dynamicity and progressiveness make the writer’s work easier by automating cumbersome tasks like adding header tags, cross-linking, and optimization. It saves time from performing difficult tasks which are instead allocated to developing high-quality content. It recommends the types of content that will work best for your blog by keeping abreast with new information and even ways to rank your content and keep readers interested. The tool assists bloggers in creating marketing strategies that will drive traffic to their sites by targeting the appropriate market segment that the blog is addressing. Acrolinx is a platform that uses AI to analyze content to maximize the impact of the content to the consumers. It evaluates text against the required standards for grammar, spelling, style, tone and search engine optimization to improve enterprise content creation. Since it guides writers how to make their content better, bloggers can solve tough language problems and effectively communicate to their readers. 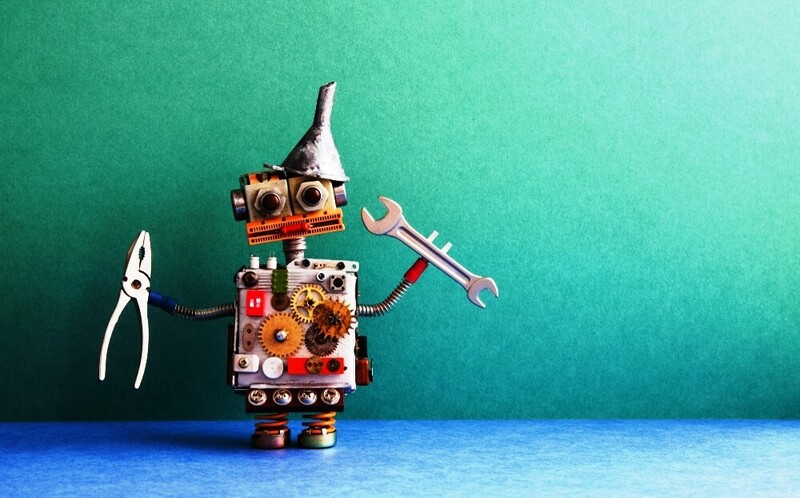 The article exhaustively provides a comprehensive list of some of the ways online tools have to incorporate artificial intelligence to enhance content marketing. Providing relevant content to readers on a consistent basis is one way of building a strong online presence and consumer relationship with the target market. When a writer uses these tools, they expand their horizons market wise and can augment their audience and take their content to higher levels. 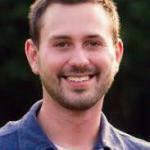 Paul Bates is a Chief Editor at BeeStudent.com living in San Diego, California. He is also a blogger writing about the latest technology and topics related to digital marketing.